I know people would like to go with Bill Russell, or Shaq here, but honestly Wilt “The Stilt” Chamberlain was the original “Freak of Nature”. Yes he scored 100 points in a game, but Wilt, the player, forced the NBA to change so many rules its absurd and he also caused the NBA to widen the lane. Aside from his numerous records and awards he is the only player in NBA history to average more than 40 and 50 points in a season. In case you didn’t know Wilt Chamberlain played for the Harlem Globetrotters and he was the 1st athlete of note to bring volleyball out of the gymnasiums and onto the sand. He may not get the credit, but it was Wilt who gave birth to beach volleyball, it was he who made it popular. He also led the NBA in rebounds for 11 seasons and average of 23 rebounds per game and had 227 consecutive double-doubles. I know, most people would have selected Tim Duncan, or Charles Barkley. Rodman at 6’7″ with a wingspan of 7’7″ led the league in rebounds for 7 straight years, including 19 rebounds per game during the 1991-1992 season. What he may lack in height he more than makes up for in pure tenacity. Rodman was known as a rebounding machine, but even more so for his defensive toughness. Unpredictable, hardworking and unselfish that is what a great teammates are made of . Rodman’s defensive play was the stuff of legend. He made Scottie Pippen cry during the playoff no less. He took his counterparts completely out of the game, he did the dirty work, something that is beneath a lot of players these days. 1989-90, 1990-91 Defensive Player of the Year awards. Most of the time I see Larry Bird in this spot, which is mostly due to the 80’s Celtics/Lakers champions games. Elgin was every bit a pure shooter as Bird was, but the key here is that Baylor could actually defend. You don’t get a career average of 28 points and 14 rebounds for nothing. Baylor a gifted shooter, strong rebounder, known for his acrobatic maneuvers on the court. The No. 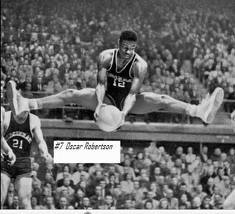 1 draft pick in 1958, NBA Rookie of the Year in 1959, and an 11-time NBA All-Star. Michael Jordan 6’6″ 220 Lbs. Often referred to as the best NBA player that has ever lived, but that distinction goes to Wilt Chamberlain. Also known as MJ, or just Jordan. He has five MVP awards, ten All-NBA First Team selections, nine All-Defensive First Team selections, fourteen NBA All-Star game appearances, three All-Star Game MVP awards, ten scoring titles, three steal titles, six NBA Finals MVP awards, and the 1988 NBA Defensive Player of the Year Award to top it all off. Jordan holds the NBA records for highest career regular season scoring average (30.12 points per game) and highest career playoff scoring average (33.45 points per game). In 1999, he was named the greatest North American athlete of the 20th century by ESPN. His tenacity on both end of the court was unmatched, his selection is a no brainer. At 6′ 9″ the man redefined the point guard position. Magic earned twelve All-Star appearances, and ten All-NBA First and Second Team nominations. He led the league in regular-season assists four times, and is the NBA’s all-time leader in assists per game, with an average of 11.2. 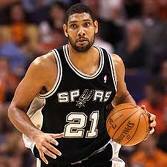 He is a member of the 700 club, assists, rebounds, and points in the same season. Three NBA, MVP Awards, nine time NBA Finals appearances. Johnson was a member of the “Dream Ream”, which is a nickname for the U.S. basketball team that won the Olympic gold in 1992. Can your Starting 5 take mine? Upon hearing these comments the sporting news world, including TNT’ commentator and NBA great Reggie Miller, quickly surmised that Lebron was only stroking the fire, but he wasn’t because he was right. Before the season began, a Free-Agent, Lebron James left the Cleveland Cavaliers, took less money and joined the Miami Heat, in a move that the entire sporting world has widely condemned. Apparently the fans and commentators are unaware that the NBA needs villians. The NBA needed a Bad Boy team. The NBA makes rules and penalties as if they don’t but they want controversy. All you have to do is look at the games and how they are promoted and the ratings that follow. Post “The Decision” the game ratings and game intensity are way up. 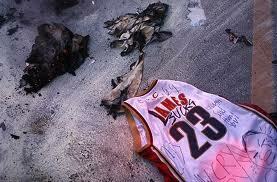 So it’s not personal, it’s business, for this and many other reasons fans owe Lebron an apology. Multiple sporting venues from ESPN to the Sporting News to Yahoo Sports have written many articles on why Lebron’s move to Miami was a bad move for Lebron. The fans were livid, and called Lebron’s choice arrogant and these sport information entities echoed the same popular opinion. Now I will echo the Truth, regardless of whether or not Lebron and the Miami Heat win a title they all owe Lebron James an apology. Recently Baseball number 1 pitcher, Cliff Lee chose the chance to win and less money to join the Philadelphia Phillies and was celebrated, but Lebron is being vilified. Lebron James suggested that much of the venom towards him has a racial component to it, yet his feelings were quickly dismissed, look at the Cliff Lee situation and we’ll wait on the apology for that. 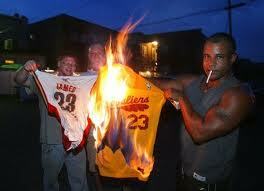 The Cleveland Cavalier fans owe Lebron an apology. Charles Barkley owes Lebron James an apology. Charles has always had a big mouth, but calling the Miami Heat Big 3 “punks” is classless. The fans who spent their hard earned money to buy Lebron James jerseys only to burn them in effigy owe all of us an apology, after all it is a recession. Radio station 100.7 WMMS, which brought in a witch doctor to cast an “injury” spell owe James an apology. Dan Gilbert, the Cavs owner, owes the Cavalier fans an apology for his online rant and continuing to complain, even though he actually traded Lebron James to the Heat. Dan Gilbert owes James another apology for trying to pressure the NBA to look into whether or not Miami tampered with James before “The Decision”. Dan Gilbert owes the Cleveland Calvalier fans a very big apology, for not ever surrounding Lebron James with enough talent to win a title. 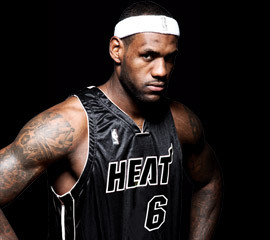 Before Mr. James made “The Decision” what big free agent moves had Gilbert made to enhance the roster had Lebron stayed? Who did he sign to enticed Lebron to stay? What was his backup plan? If you look at the current Cavs roster, you will see that his back-up plan was the same as it was in previous years- “Ride Lebron until you can’t ride him anymore”. Dan Gilbert and the Cavalier fans should thank Lebron for his years of dragging their sorry teams through the playoffs. The fans who printed up shirts calling him “Queen”and “Quitness”, the vendors selling them and the people who wear them owe James an apology. The people who make videos that call James a quitter owe him an apology. Countless radio station hosts, newspapers, magazine writers and bloggers all owe Lebron James an apology. It was offensive after the second time Lebron James was asked to, or if he wanted to apologize for 7 years, 5 playoff appearances, 28 ppg, 17,000 points and 2 MVP awards. If Dan Gibert had announced that he was trading Lebron James, would people be this upset? Nope. Think about that. I know much of this ‘what he should have done’ commentary will die down as the wins mount, but will the apologies? This is not the first time these sports entities have got it wrong, remember Lebron’s 1st MVP award an award that should have went to Dwayne Wade, but sports writers didn’t have the guts to give it to Wade. Lebron James knew where that award belonged. Wade is Lebron’s MVP and that’s what really matters. I am sure that had plenty to do with “His Decision”. Lebron James knows to apologize when someone he cares about is slighted, he also knows that those who owe him an apology don’t care about him and probably never did. Now while you are thinking these things over, apologize to Chris Bosh also. Why People Don’t Like Kobe. We liked Michael Jordan, although he gambled, fought other players, cheated on his wife, and was at times classless. We liked Shaq, although at times the big fella was just too sensitive. And despite all of Magic’s faults we still like him. We like Lebron, even though he jilted Cleveland. We Like Dwayne Wade and we like a whole lot of other players, but why don’t people like Kobe? Even though he takes the team on his back and saves the game, still a majority of league players say that they don’t want to play with him. The guy has six rings for goodness sake, but when your own teammates say that you should opt-out at the end of the season, it’s time that we examine why people don’t like Kobe. This list is in no particular order. 3. He slapped Samaki Walker in the back of the head on the team bus. Samaki got up and started to choke Kobe. When Kobe asked for assistance… His teammates kept looking out the window.- I just threw this in because it is mildly humorous. 4. He originally said that growing up he never paid Michael Jordan much attention.-That is the biggest lie I’ve ever heard! 5. He cussed out Tex Winter. -Tex is like 7,000 years old, I mean really. 6. He called Karl Malone old, and then told him “I don’t need yo pick”. 7. He also ruined the last year of The Mailman’s playing career. -This you can debate. 8. 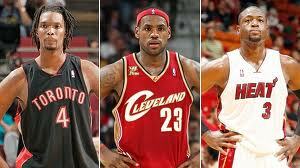 If there is a Man Code he became the top violator when he ratted out Shaq.- Some things you just don’t do. 9. In game seven of the crucial 2006 playoffs Vs. Phoenix, Kobe let it be known that he quit on the team, by standing 6 feet above the three point line watching and waving to his teammates for much of the second half. You saw him do it, you just didn’t know what he was doing, so Charles Barkley called him out on air by saying “Kobe quit that night, plain and simple”.- go to the tape. 10. He’s a whiner- go to the tape(s). 11. He forced L.A.’s mayor to get off the parade bus. That day Kobe could be heard saying “I’m being infringed upon”. – Personally I might have done the same thing, but the mayor was crucial in helping the Lakers have a Parade in the first place. 12. He is Defensively Overrated. Back in the day Shaq was frowning on everybody that got past Kobe… and they did get past him. Now he has three seven footer behind him. 13. He made Filmmaker Spike Lee stand at his private gated community for an hour and still didn’t buzz him in, or come out to talk with him. 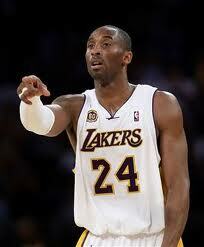 -I would say watch “Kobe Doing Work”, but do so at your own risk not because I suggested it. 15. His Trade *explicative* Bynum, or I’ll be in Chicago Talk. 16. One minute before Lebron James was the Cleveland Cavaliers Number One Overall draft pick. Kobe chose to announced that we was opting out of his Lakers’ contract, effectively stealing Lebron’s spotlight. 17. In 1999 he was the only NBA player that voted to continue The Strike! 18. Lebron is fast approaching, but Kobe is the most Ref-Aided NBA Player in the game. Traveling and charging are supposed to be illegal. 19. Kobe didn’t change his jersey from eight to twenty-four for money, as Adrian Wojnaroswki has suggested, he did so that everybody would forget that he was charged with bending a young girl over a chair in Denver. 20. Kobe has a noted penchant for being sensitive, rhat’s when he won’t pass to his teammates even when they are open. See trust issues. 21. In game 5 of 2010 Western Conference Final, Kobe ruined his, Jordan to Paxon, Jordan to Kerr, Jordan to Wennington moment. Against the Phoenix Suns in the 4th quarter with the game tied and 8 seconds left on the game clock Kobe dribbled into the right corner, double teamed. Kobe elevated and shot an air-ball, which Ron Artest quickly grabbed and banked in for the win. For those that don’t know if you are double teamed that means that one of your teammates is wide open. 22. He has to be reminded every single season that he has Teammates. He usually has to be called out by team players and media. 23. An hour after Kobe and Shaq agreed with Lakers management to stop all the media bad blood between each other. Kobe called sportscaster Jim Gray to hold a private interview where he proceeded to call Shaq fat, out of shape and milking his toe injury for extra time off. Bad form Kobe, bad form. 24. Kobe (Mr. Clutch) makes a little less than one of every three shots when The Lakers are down two points, one point, tied, or on the final ball possession, this stats actually which makes him one of the worst performers among players with at least 30 attempts in those situations. 25. 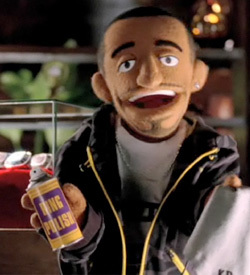 After making 300 Million dollars during his career, with the NBA lock out in full swing, Kobe feels neglected. 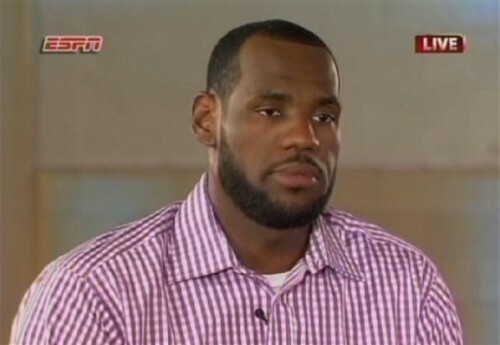 He saw how the media fawned over Lebron and his “Decision”. He chaffed at the way the media followed Carmelo’ Drama so he floated the idea of playing in the Italian league with Virtus Bologna for $300,000 to $1,000,000 per game. Great way to show solidarity and maintain the players leverage. He knew the NBA owners not only profit from not paying the players during the lockout, but they also want the players to play overseas to help grow the brand for future European expansion. Just enjoy the time off, try going back to school. 26. While in church Kobe thought that a man was taking photos of he and his wife. Kobe grabbed the man’s wrist and took his cellphone. Kobe returned the man’s cellphone after going through it to make sure that no photos of his family were on it. 30. “In 2006, I was shooting 45 times a game. What am I supposed to do? 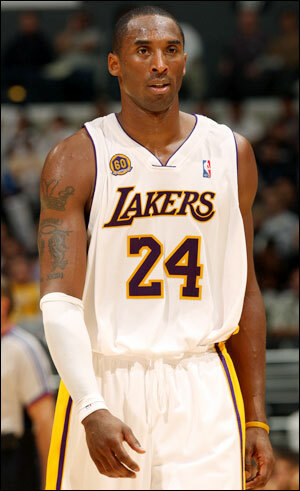 Pass it to Chris Mihm or Kwame Brown?”-Kobe Bryant 10-11-2012 So much for trying around the Kobster. 32. In the famous 2011 Pau Gasol shooting slump, it was discovered that Gasol’s fiance broke up with him. This left Gasol an emotional wreck and rather useless in the playoff. What does this have to do with Kobe? Apparently Kobe told his wife, Vanessa, about Gasol’s philandering. Vanessa then became friends with Gasol’s finance, just so she could spill the beans to her. When Pau confronted Kobe about this an argument ensued and the two stopped speaking to each other. Gasol became the scapegoat for the team’s early playoff exit. 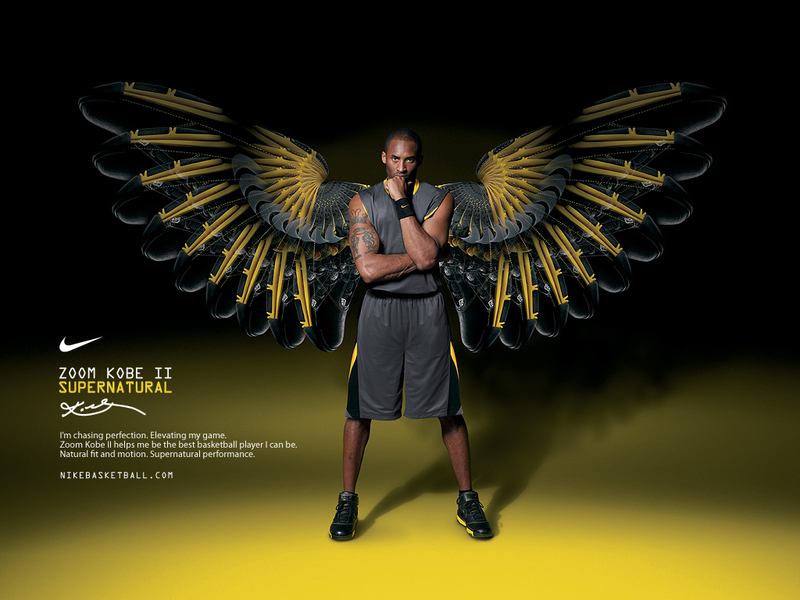 –Kobe violates the man code again. 33. 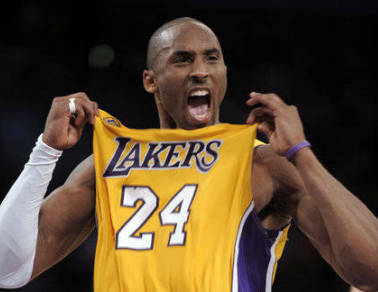 He gained the nickname Black Mamba not because he is deadly as a player. He gained his moniker because he refused to speak to his teammates on the court, instead he would make a hissing sound when he wanted the ball given to him. Naturally his teammates started called him the Black Mamba. 35. During his Kobe and the Kids time with the Lakers, Kobe on the court the Lakers were -13.2, and +7.1 with him on the bench. 36. 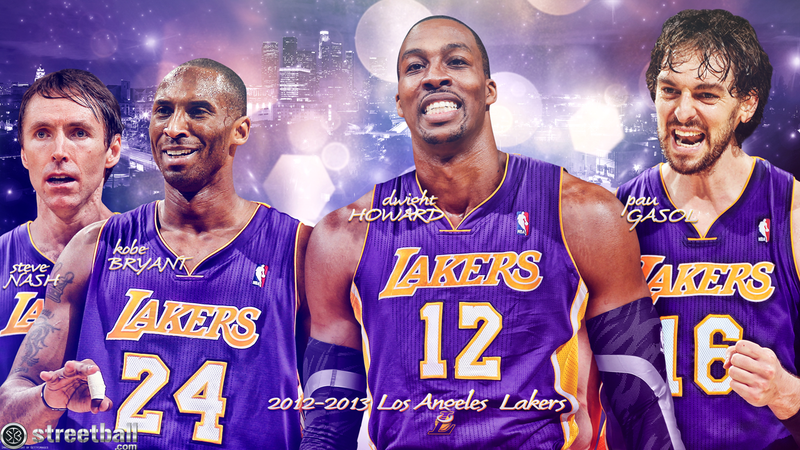 His refusal to say when he will actually retire, which held up the already lengthy Laker rebuilding process. Kobe and the kids lingered on for years. 38. He once tried to beat up Tyronne Lue for blocking his shot during practice. I could continue to list things, but after that K.O.B.E. song I really need to stop. 1. He’s Got One Hell of a Game, and he’s had One Hell of a Career and for most that is all that matters. Do You Have The Love? All eyes follow the orange sphere. Can you feel the ebb? with 81 more to go. Half court trap, or full court press?